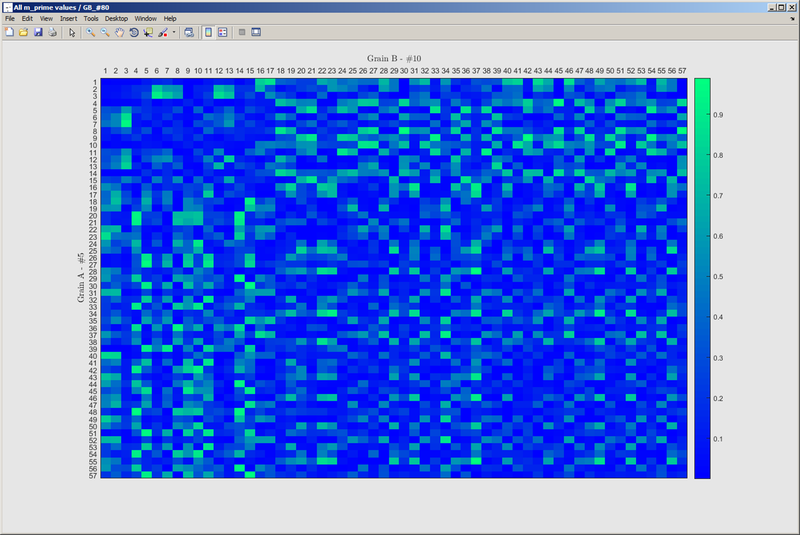 This GUI allows to analyze quantitatively slip transmission across grain boundaries for a single bicrystal. from a YAML config. bicrystal (from the menu, by clicking on ‘Bicrystal, and ‘Load Bicrystal config. file’). Figure 21 The different steps to set the Bicrystal GUI. 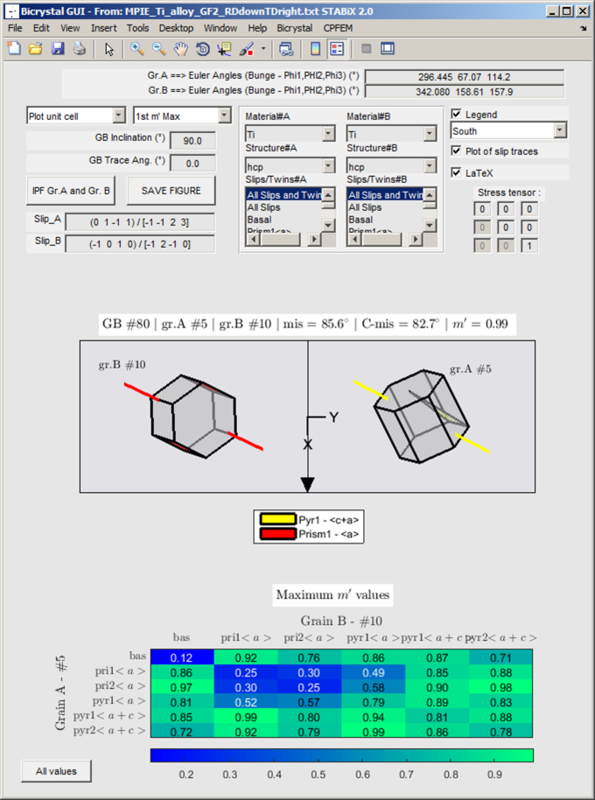 Figure 22 Screenshot of the Bicrystal GUI. It is possible to generate a new window, in which all values of the selected slip transmission parameter are plotted in function of selected slip families. Figure 23 Screenshot of the distribution of all slip transmission parameters (e.g. : m’ parameter for a single phase (HCP) bicrystal).